When notary Lebel sits down with Jeanne and Simon Marwan to read them their mother Nawal’s will, the twins are stunned to receive a pair of envelopes – one for the father they thought was dead and another for a brother they didn’t know existed. In this enigmatic inheritance, Jeanne sees the key to Nawal’s retreat into unexplained silence during the final weeks of her life. With Lebel’s help, the twins piece together the story of the woman who brought them into the world, discovering a tragic fate as well as the courage of an exceptional woman. 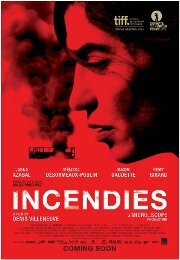 In French with English subtitles.